Quality, tradition and innovation are the fundamental values of Tod's, the brand that represents the high quality, craftmanship and creativity of "Made in Italy". From the precious materials used to the attention to detail, the Tod's collections are the essence of contemporary luxury. 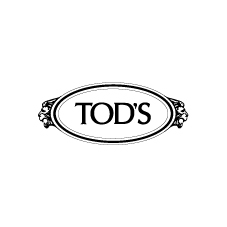 You will find a Tod's high fashion store in Fox Town Outlet Centre that offers exclusive products including jewellery, shoes, sunglasses and accessories.